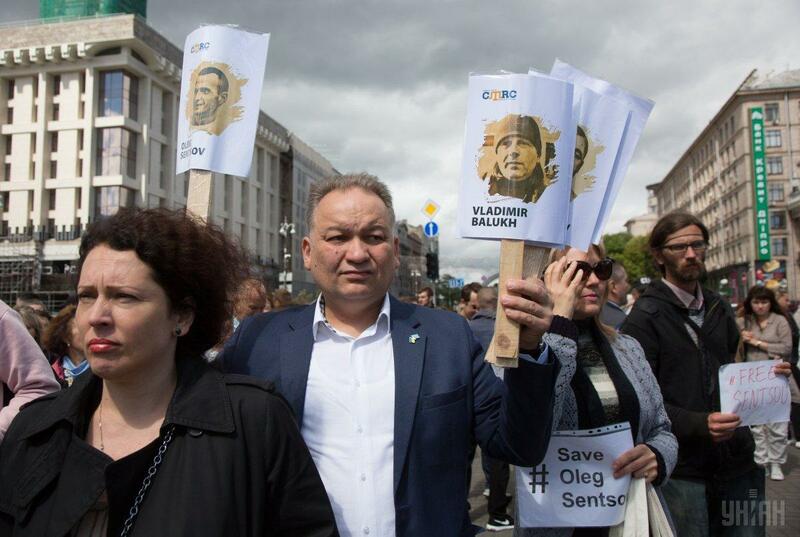 The rallies were held in Kyiv, Dnipro, Odesa, and other cities and towns. 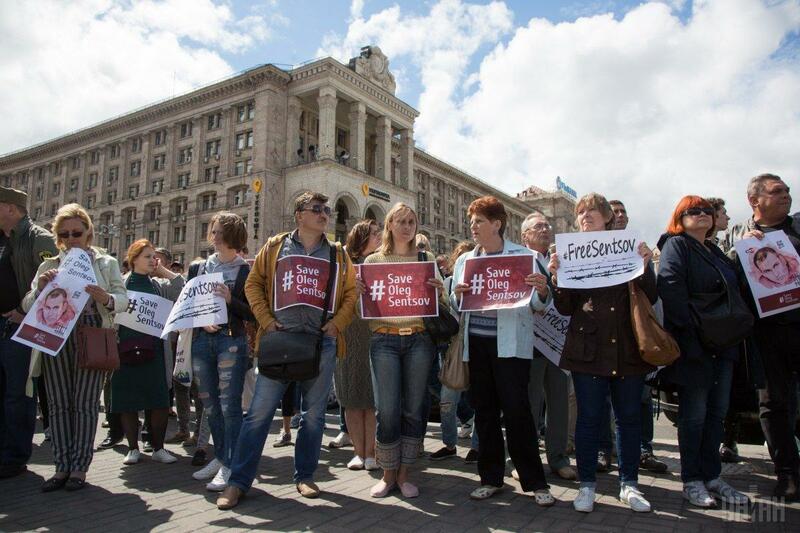 Dozens of Ukrainian cities have joined rallies in support of Ukrainian filmmaker Oleh Sentsov, who is serving a 20-year term in prison in Russia and has been on hunger strike since May 14. 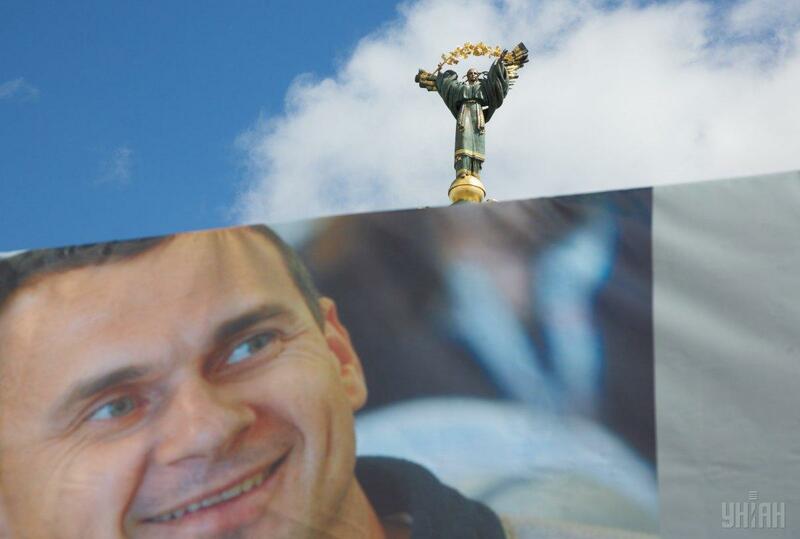 Sentsov's lawyer Dmitry Dinze says that Sentsov has not yet been switched to Nasogastric tube feeding, the Ukrainian TV news service TSN said. 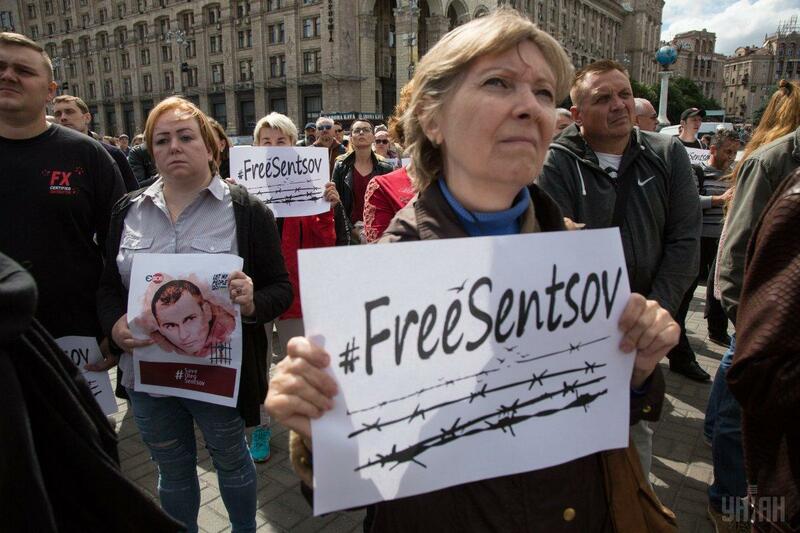 Sentsov is now in the prison's medical unit and cannot walk. 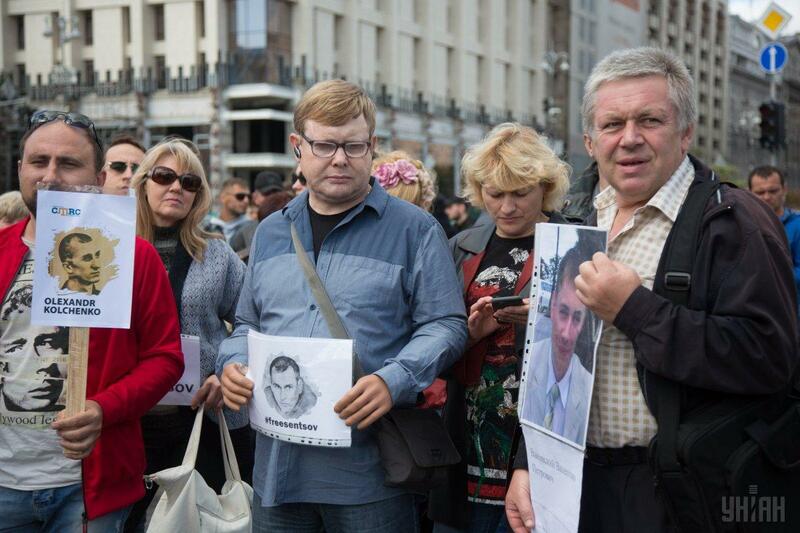 Meanwhile, people in many cities and towns of Ukraine and the world went to rallies in his support. 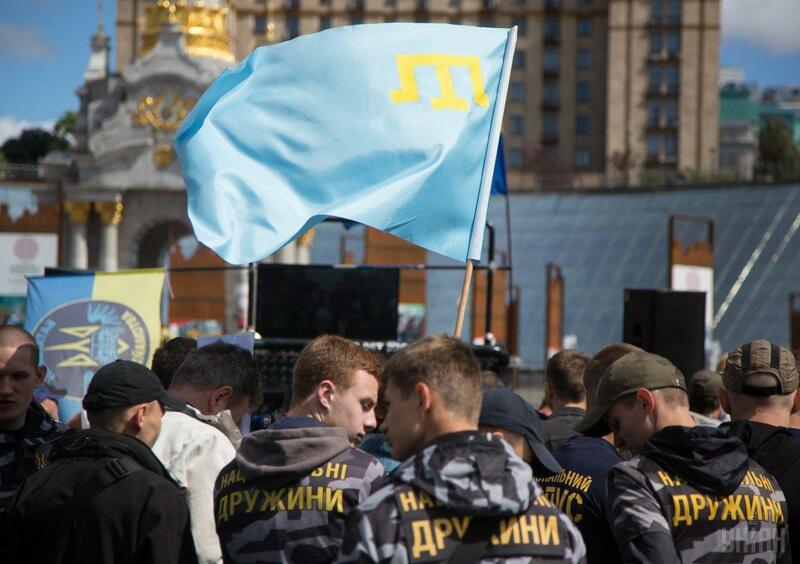 In particular, such rallies have been staged in Kyiv, Dnipro, Odesa and a dozen other Ukrainian cities. 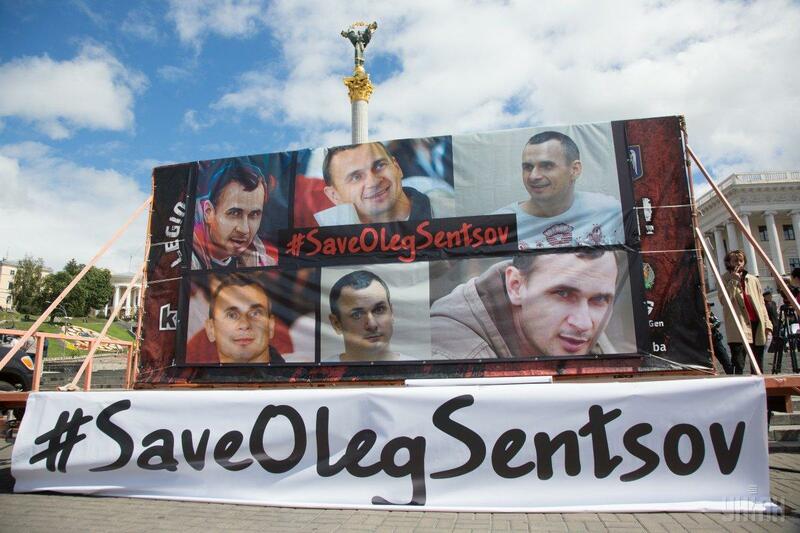 In Odesa, members of the Navy expressed their support to Sentsov, having lined up on the dock with banners saying "Save Oleg Sentsov." Similar rallies were also held in over 20 countries around the world. He is being held in the colony located in the distant Arctic town of Labytnangi in Yamalo-Nenets Autonomous Area, Russia. 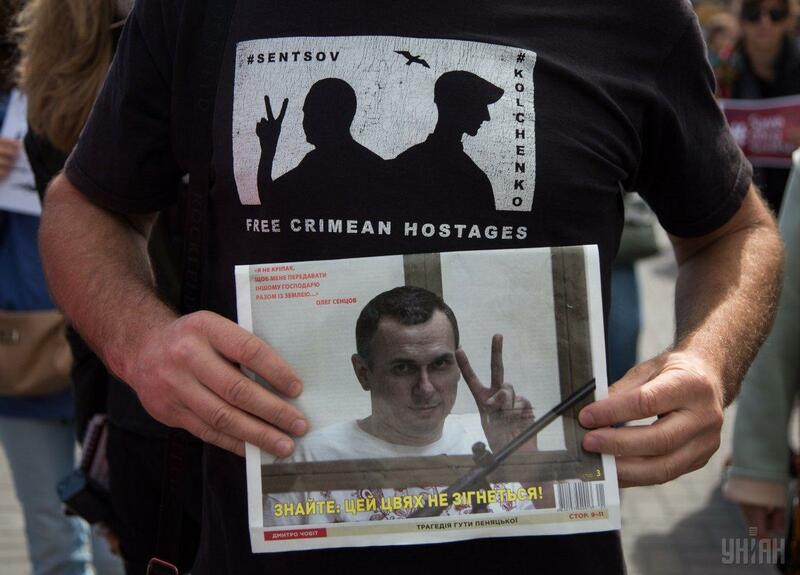 Sentsov went on hunger strike on May 14, demanding the release of all Ukrainian political prisoners. On May 31, he stated that he was "not interested in being swapped," as he is "a man who does or dies." Ukrainian Ombudsperson Liudmyla Denisova on June 13 flew to Russia to see Ukrainian political prisoners held in Russian prisons. 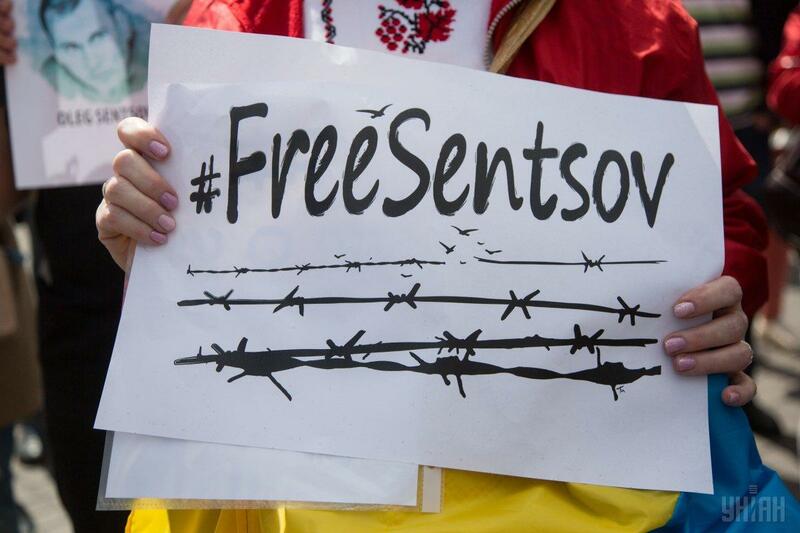 She was going to visit Sentsov first but she was not allowed to meet with him. On the same day, Russia's Ombudsperson Tatiana Moskalkova said that it was Denisova's "personal initiative" and her visit had not been agreed.